During the past decade, researchers have identified new ways to detect the earliest biological signs of Alzheimer's disease. These early signs, which are detected by biomarkers, may be present before a person starts to exhibit physical symptoms. What biomarker screening doesn't reveal, however, is how likely it is that a person who tests positive will eventually develop the dementia associated with Alzheimer's disease. That's where the new predictions from researchers at the UCLA Fielding School of Public Health may be helpful. In a paper published by Alzheimer's & Dementia: The Journal of the Alzheimer's Association, the authors lay out the probabilities that a person will develop Alzheimer's disease dementia based on age, gender and the results of biomarker tests, which can detect the presence of certain protein fragments in brain and spinal fluid or brain cell changes linked with the disease. The estimates show that most people with preclinical signs of Alzheimer's disease dementia will not develop the full-scale disease. "Lifetime risk estimates can help doctors and other health care providers evaluate whether or not a positive screening test means a patient is likely to develop Alzheimer's disease dementia," said Ron Brookmeyer, the study's lead author and a professor of biostatistics at the Fielding School. "These estimates may reassure some people that despite testing positive on screening tests, their chances of developing Alzheimer's disease dementia are low." Brookmeyer and Nada Abdalla, a doctoral candidate at the Fielding School, drew data from previous studies that tracked the progression of Alzheimer's disease in thousands of people and included that information in a computer model that also incorporated published U.S. death rates. They found, for example, that a 60-year-old woman without any biomarkers for Alzheimer's has about a 20 percent chance of developing Alzheimer's disease dementia. A woman of the same age would have a 96 percent chance if she already has shown some decline in memory and thinking skills and if biomarker screening has detected amyloid protein and neurodegeneration in her brain. Men have a lower risk of developing Alzheimer's disease dementia because their average lifespan is shorter. A 60-year-old man with no biological signs of Alzheimer's, for example, has about a 14 percent risk for developing Alzheimer's disease dementia, according to the paper. 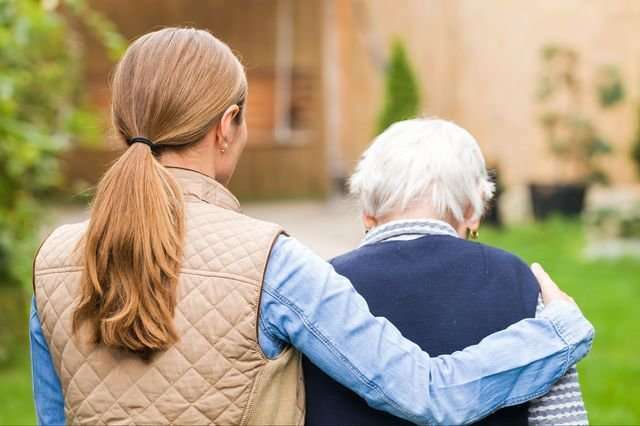 Brookmeyer said interventions to slow the progression of the disease could significantly lower a person's risk of developing Alzheimer's disease dementia.